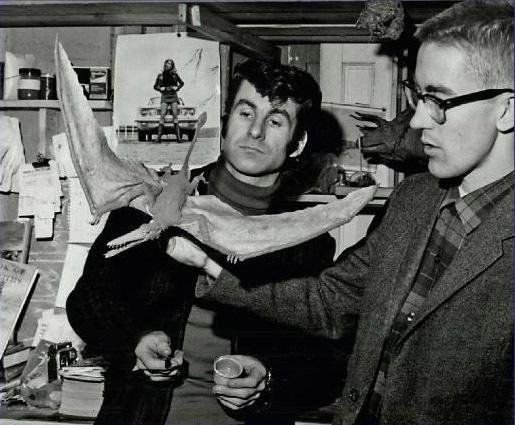 Danforth’s first job in the professional film industry was as a sculptor and artist for clay-animation pioneer Art Clokey, who had previously produced the beloved children’s series Gumby during the 1950s. 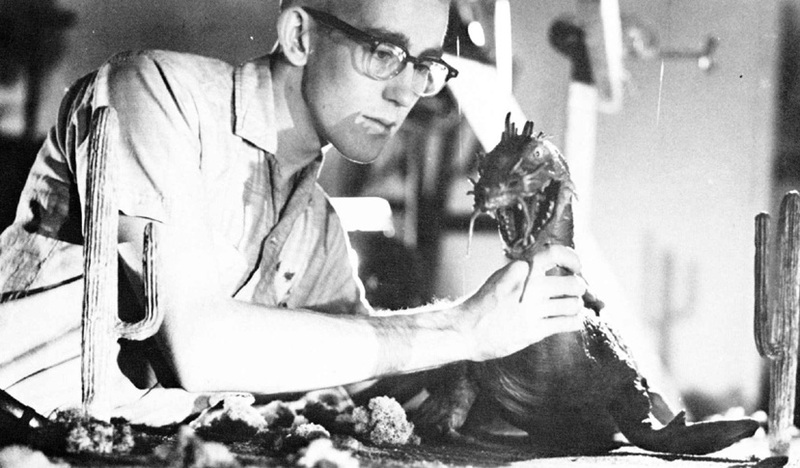 Danforth was then hired by a company known as Project Unlimited and assisted a team of effects technicians on George Pal’s celebrated 1960 feature-length science-fiction film, The Time Machine (1960) Working with two other animators and a team of artists and technicians at Project Unlimited, Danforth did the model-animation effects for the fantasy film Jack the Giant Killer (1962) and to animate the dragon in The Wonderful World of the Brothers Grimm (1962). In 1963, Danforth was hired by special visual effects pioneer Linwood G. Dunn to animate miniature versions of the comedians in Stanley Kramer’s all-star comedy, It’s a Mad, Mad, Mad, Mad World. In the late 1960s, Danforth aided fledgling film maker Dennis Muren with the making of Equinox in 1970. 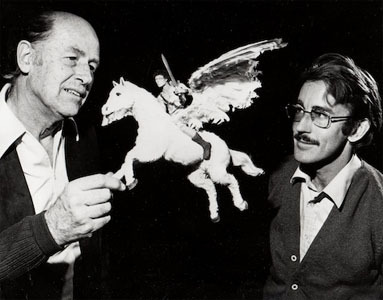 Danforth appeared as several ‘extras’ in the film and lent a hand animating cells, painting mattes, and constructing sets and equipment, but did none of the film’s stop-motion animation (handled by Dave Allen and Dennis Muren). England’s Hammer Films hired Danforth to animate the dinosaurs inWhen Dinosaurs Ruled the Earth (1970). 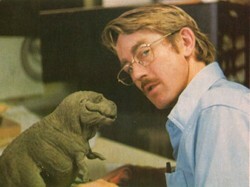 Danforth refined the ability of his dinosaur models to realistically convey emotions. The film merited Danforth a second Oscar effects nomination, but lost to Bedknobs and Broomsticks (1970). Then Danforth returned to England to assist on Ray Harryhausen’s last film, Clash of the Titans (1981). Danforth animated portions of the Kraken and two-headed wolf sequences and most of the Pegasus scenes. During the late 1980s and early 1990, Danforth was involved with the John Carpenter films Body Bags, They Live,[Prince of Darkness, and Memoirs of an Invisible Man, supplying, depending on the productions’s needs, matte paintings, optical effects, stop motion animation, and second-unit direction. 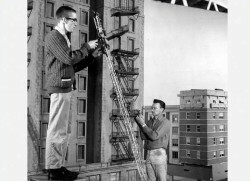 Throughout the 1990s, Danforth has kept a somewhat lower profile, mainly providing matte paintings and supervising composite matte work on scores of films, a continuation of his matte work on films going back into the 1960s. Danforth continues to live and work in the general Los Angeles area and is currently doing fine-art and fantasy-genre paintings. Posted on 31 July, 2014 by Domingo Lizcano. Permanent link.